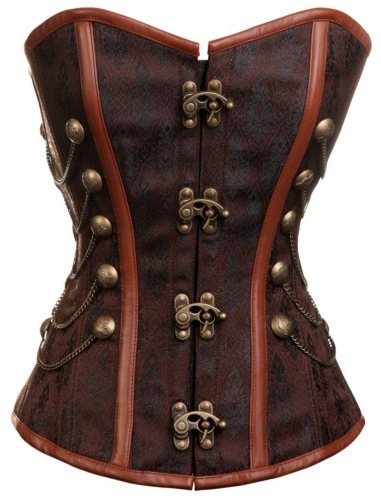 Corsets are held together by lacing, usually (though not always) at the back. 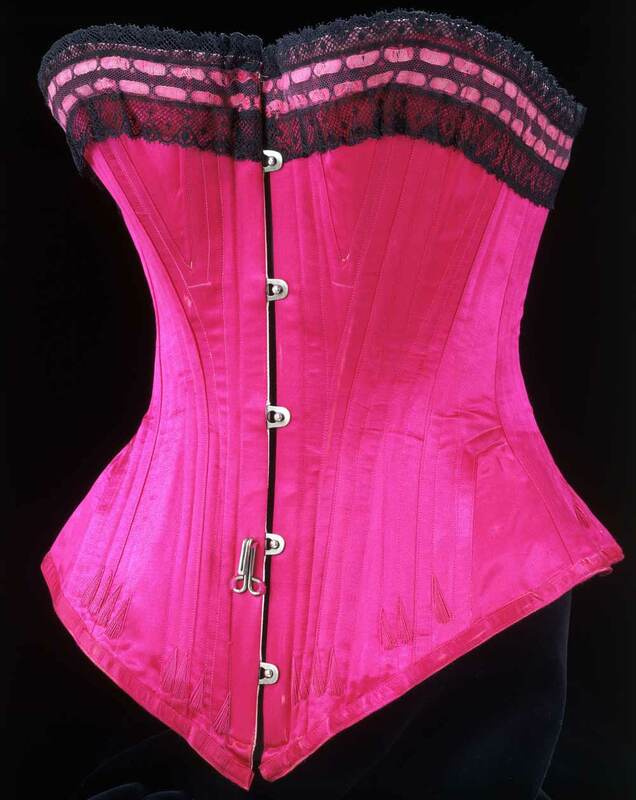 Tightening or loosening the lacing produces corresponding changes in the firmness of the corset. 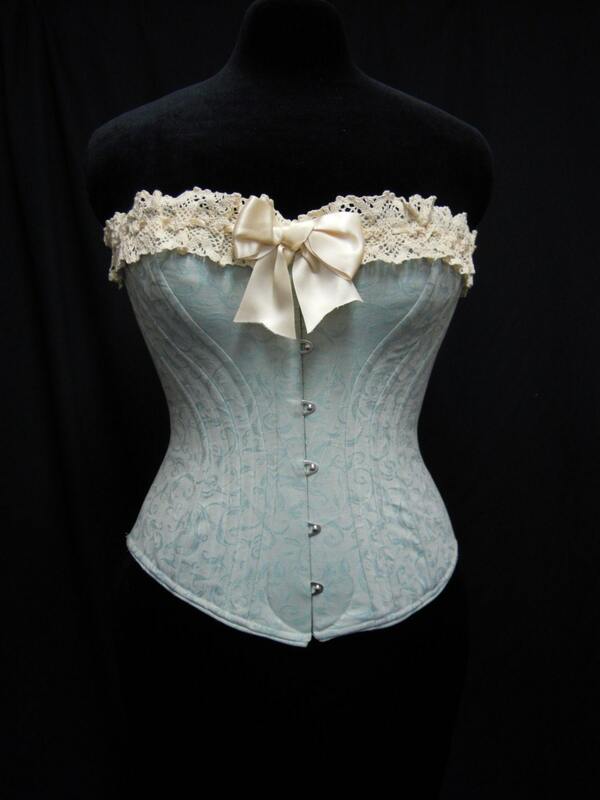 Depending on the desired effect and time period, corsets can be laced from the top down, from the bottom up, or both up from the bottom and down from the top, using two laces that meet in the middle. In the Victorian heyday of corsets, a well-to-do woman's corset laces would be tightened by her maid, and a gentleman's by his valet. 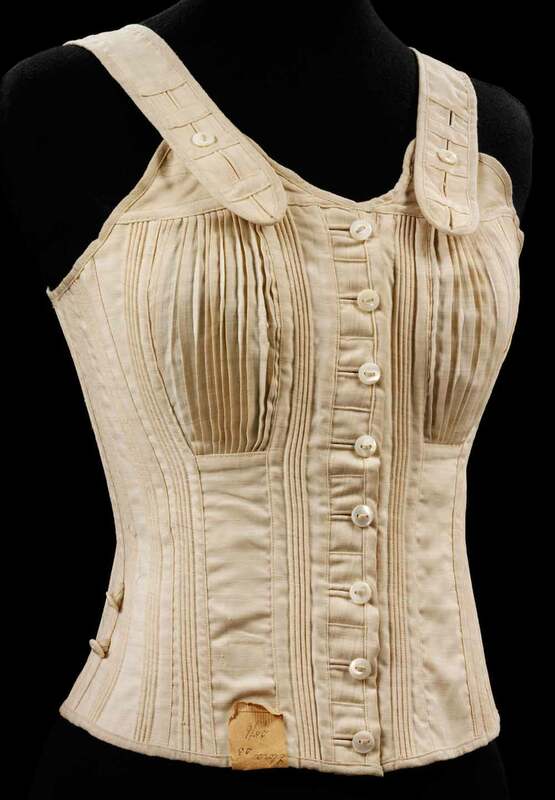 However, Victorian corsets also had a buttoned or hooked front opening called a busk. 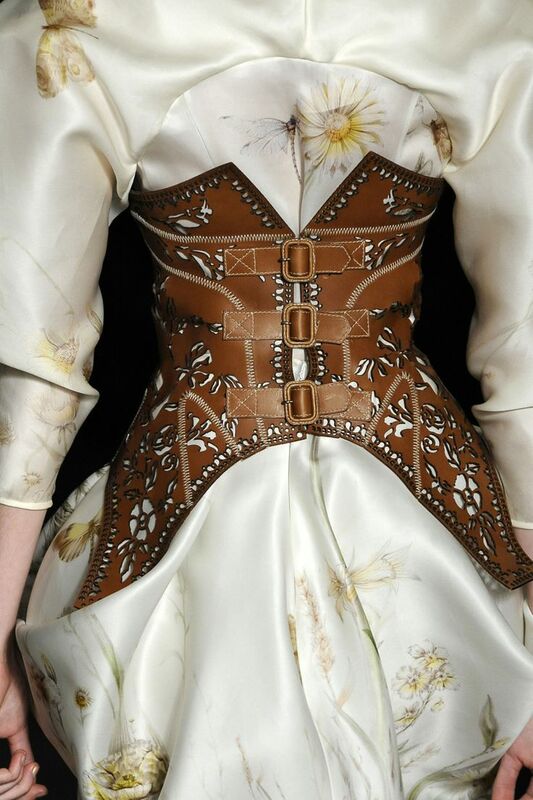 If the corset was worn loosely, it was possible to leave the lacing as adjusted and take the corset on and off using the front opening. (If the corset is worn snugly, this method will damage the busk if the lacing is not significantly loosened beforehand). Self-lacing may be very difficult where the aim is extreme waist reduction (see below). The type of corset and bodice lacing became a refined mark of class; women who could not afford servants often wore front-laced bodices.